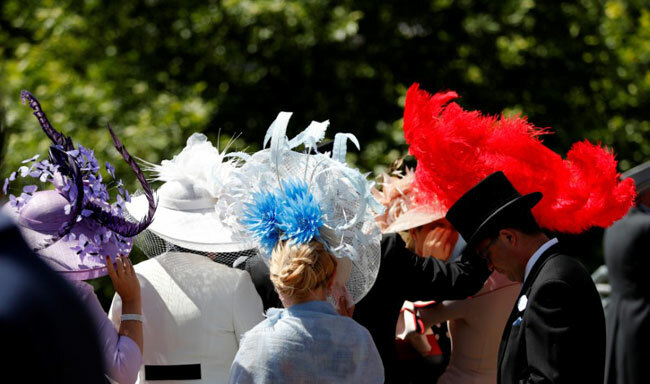 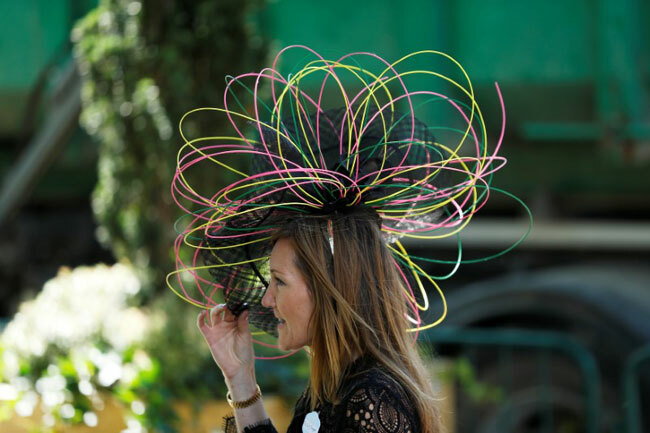 Colourful blooms, buzzing bees and roaring dragons made an appearance at Royal Ascot on Thursday as revellers showed off their best millinery at the British horse-racing event's Ladies' Day. 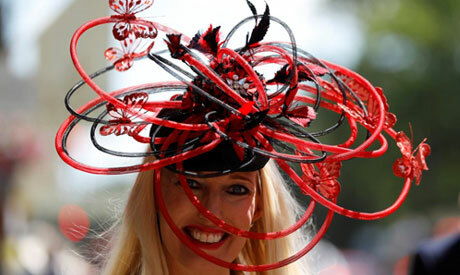 Women wore a range of eye-catching hats, many of them decorated with feathers and flowers of all colours and sizes. 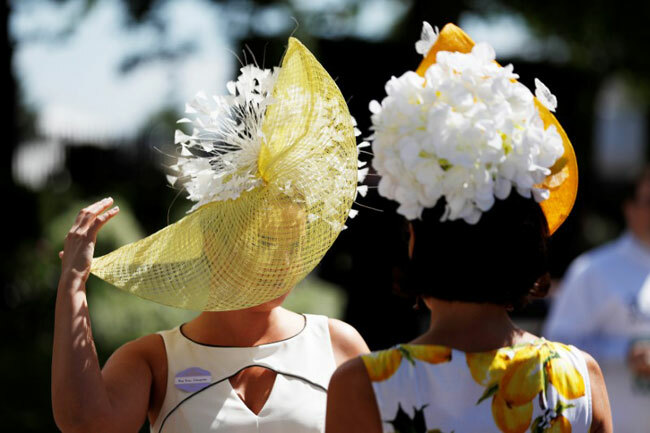 Others opted for quirkier choices such as a hat made up of honeycomb with bees, a pair adorned with roaring dragons and one carrying a bottle of fizz and two glasses. 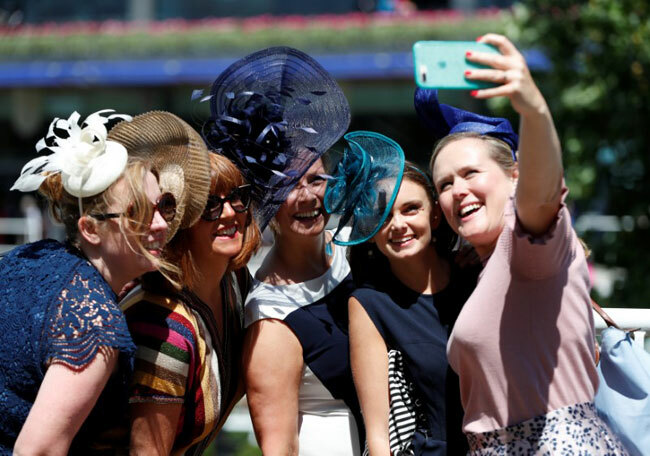 The race meeting, held in Ascot just outside London, lasts five days and has become as much known for the fashion as for the sport.